David Price needed to pitch his best game in a Red Sox uniform tonight—and he pretty much did. The lefty went eight stellar innings—shutting out the previously un-shutout Evil Ones 3-0. Price was brilliant, striking out eight Pinstriped Posers and walking none. The offense came from a two-run HR by Mookie Betts and an RBI single by Dustin Pedroia. 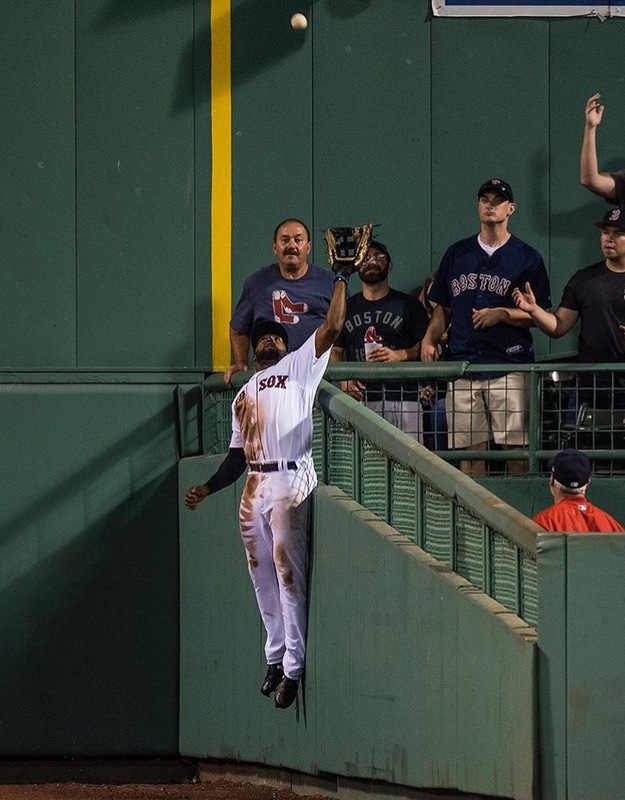 But perhaps the most memorable play was a two-run-HR-saving catch in the center-field triangle by Jackie Bradley, Jr. It was one of his best and one of the best of the year in all of baseball. The win—after a 3-0 loss to The Bronx Embalmers in the day game—pushed the Yankees back into third place—3.5 games behind Boston. The Rays, who lost 3-2 to the Angels, are now three games back of the Red Sox in second place. Boston now takes on the Blue Jays—starting on Monday night at Fenway.